This short-term weekend diploma course in Interior Design covers semester I and II with modules like Architectural Symbols and Material Representation, Office Design Basics ergonomics and more. Major & Minor Circulation Spaces. Space planning of a Residence. 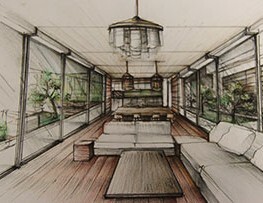 Plan & Design a Residence, with the given specifications (by the faculty), based on a theme/ style/ concept. PROJECT 2: Retail Design Basics Ergonomics, Types of layouts, Consumer buying behaviour, merchandise visual concepts, etc. Plan & Design a Retail Showroom, with the given specifications (by the faculty), based on Brand/multi-brand/product outlet. – Misc. Materials: Adhesives & Sealants for Joints, etc. Plan & Design a Corporate Office, with the given specifications (by the faculty), based on a Work Function from Industry. 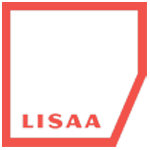 LISAA School of Design has given me a lot of freedom to explore my inner creativity. Thanks to the School, I have learnt to work hard and give my 100% in every subject. All the faculty members are well experienced and it’s my privilege to gain from their experience. LISAA has really taught me to work to my maximum potential. Teachers are enthusiastic and lively to work with. They have a different and good way to teach us. Every student is treated specially, no student is left out. The faculty is really good. This place is fun and exciting. LISAA has a brilliant Indian as well as French faculty. There is a personalized form of teaching. Teachers do not put much pressure on the students to get only marks. We are encouraged to learn and understand the concepts.